PSV Eindhoven winger Steven Bergwijn has become the subject of numerous transfer rumours linking the forward with a number of elite European clubs including Inter Milan and Manchester United. According to De Telegraaf, Manchester United and Italian giants Inter Milan are hot on the tails of the Dutchman as the player continues to sparkle for PSV this term. Various English media outlets have linked the Red Devils with a move for the forward for a few months now, and the De Telegraaf have now confirmed the rumours. The English club are even said to have sent scouts to watch the Dutchman play several times in the Eredivisie this season as they look to bolster their forward line. A forward line already boasting a wealth of pacey forwards including Rashford, Lingard, Mata and Anthony Martial. Inter Milan are said to be more interested in the deal for Bergwijn however, and are set to send a delegation to speak with the player and his agent in the coming weeks. In truth, a January transfer does not seem likely for the 21 year old considering his desire to remain at PSV Eindhoven until the summer. A move this January therefore seems very unlikely. 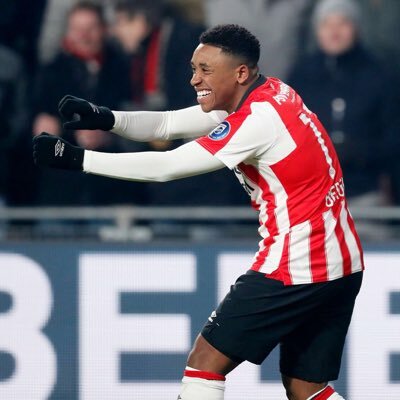 Bergwijn has played his entire career at PSV making a total of 78 appearances so far and scoring a whopping 18 goals. He has also been capped at various Dutch levels, having played for the Netherlands U-17s, U-18s, U-19s, U-20s and U-20s. The Dutchman made his debut for the Netherlands senior team in 2018 and has since gone on to win 2 caps for his country. Netherlands head coach Ronald Koeman handed him his first Netherlands senior team call up in October 2018. He marked his debut that same month in a 3-0 UEFA Nations League A victory over Germany.